That’s just the thing. There is nearly always going to be a variable that doesn’t fall neatly into your imagined scenario. Your ability to roll with that is the truest test of your preps and indeed, your overall level of preparedness. It is more valid than any number of planned practice runs. Don’t get me wrong. Planned practice runs are great and are a valuable technique to enhance your level of preparedness. But be honest – you nearly always do a little something extra to prepare for a practice run. Perhaps you make an extra trip to the store. Maybe you just got a brand new prep that you want to test out, inspiring the practice run that is a perfect scenario for the use of that prep. Here’s an example that happened to us one weekend. On the first day of our family emergency, we went through nearly triple our allotted amount of water, just to get things to the condition in which we could abide by our plan. Fortunately, I had quite a bit of water stored, but it wasn’t going to last nearly as long as I had expected with the giant dent I put in the supply on Day 1. 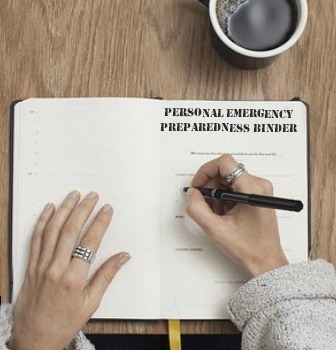 I pulled out my notebook and began to jot down the things we learned with this unexpected drill and reported it to some prepper folks that I hang out with. One friend said that I normally wouldn’t start out with tomato guts all over the counters and a sink full of dirty dishes and a soapy load of clothes in the washing machine. Initially, I agreed, since this isn’t the usual state of my home. There’s nearly always some weird variable. A few years ago when the Derecho hit the Washington DC area, a local friend there told me it had been laundry day. She had put off doing laundry because the family had been busy, and they had piles and piles of dirty clothes. The fact that they hardly anything clean left to wear had been the motivating factor in her sorting the large piles of laundry on the kitchen floor as she began to conquer the mountain. When a disaster hits your house, you will probably have some variable too. Very few of us are in a constant state of readiness. Life just doesn’t work like that. We have busy weeks during which we may skip laundry day. We have messy kitchens because we just did a huge project. We have times when our house is messy and disorganized, or when we are waiting for the next paycheck before hitting the grocery store for some staples that are running low. We use up all the BBQ’s propane during a weekend cookout. We discover the kids have been quietly snacking on some of the no-cook goodies we thought were secretly stashed away, but discover it only when we go to pull that food out to feed the family during a power outage. There’s really never a perfect time. There’s rarely a warning that comes at a time when we have enough in our bank account to grab anything we’re running short of, and also aligns with our ability to get to the store before everyone else that wants to pick up those vital items. So, you have to make the best of it. You have to be ready to accept the fact that you’ll find that somewhere in your plans was a gap. You’ll learn that you had prepped for a neat, perfect scenario but that life handed you an asymmetrical mess with a pile of dirty laundry in the kitchen. That’s when you’ll discover how prepared you really are. That is when you will truly be able to test your adaptability, which is the true key to surviving any crisis. There are some things we can do to be at the top of our game. Keep in mind that in an emergency, things won’t align perfectly, but by having the following in place you can start out in a better position. Always have a fully loaded pantry. Never let your supplies reach the point where you need to run to the store to face an emergency. Build a pantry unique to your family, and consider stocking some emergency food buckets for a back-up to your pantry. Keep your home tidy and clean. Okay, life happens, so you can’t always have your home in perfect condition. However, if you keep it relatively clean and tidy, you reduce your chances of starting out during a disaster with tomatoes on your ceiling. Keep your laundry pile to a minimum, your dishes washed, and your floors clean. Trust me, it’s way harder to do that without running water and electricity. Keep your supplies organized. If your home is clutter-free and your supplies have a place, then it’s going to be far easier to lay hands on what you need in the midst of a disaster. I’ll never forget our first power outage after we’d begun prepping. I had all of the back-up lighting, as well as extra batteries, but I hadn’t put them in the same place, or even taken them out of their packages. There I was, rummaging around in the dark, looking for the batteries for my flashlight and trying to open that evil plastic package without cutting off my thumb. This PDF book can help you get organized once and for all and this PDF book can help you get ready for a power outage. When a disaster strikes, you’ll probably find that the timing really could have been better. Don’t beat yourself up about it or start to feel unsuccessful in your endeavors. Emergencies are rarely conveniently timed. Consider this a test of your adaptability. And when you get through it, congratulate yourself. 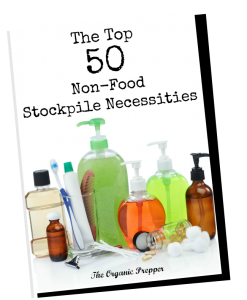 It’s your ability to roll with the variables that makes you a true prepper. Did you ever face an emergency with less than ideal timing? What was the variable that threw a wrench in your perfect prepper plans? Please share your story in the comments and let us know what you learned.